The Batman Black & White line brings to life interpretations of the World's Greatest Detective and select Gotham City characters from the comics industry's brightest stars. 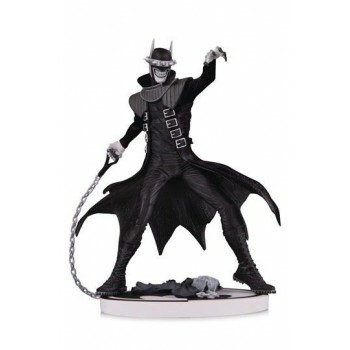 The menacing force behind Dark Nights: Metal is back for asecond Batman Black & White statue. That's right, the evil, the charming, the Batman Who Laughs has returned. This striking, villainous creation with the power to make nightmares shudder is a twisted hybrid of Batman and his archnemesis, The Joker. Limited to 5,000 pieces and individually numbered. Statue measures 19 cm tall. Designed by Greg Capullo; Sculpted by Jonathan Matthews.